Over the weekend, Andi Satterlund announced her Marion Cardigan Knit Along due to start on September 10th. I've always loved this design and been so close to purchasing the pattern many times. She offered a discount on the pattern for the KAL, so I couldn't resist :) I'm going to use this KAL as an opportunity to stash bust some of my lesser loved yarn. Back when I first started knitting, I went a little crazy with buying acrylic yarn. Case and point - my local Walmart clearanced almost their whole yarn section about 22 months after I started knitting and I bought something like 30 skeins of Caron Simply Soft in various colors over the course of a few weeks. Yeah. 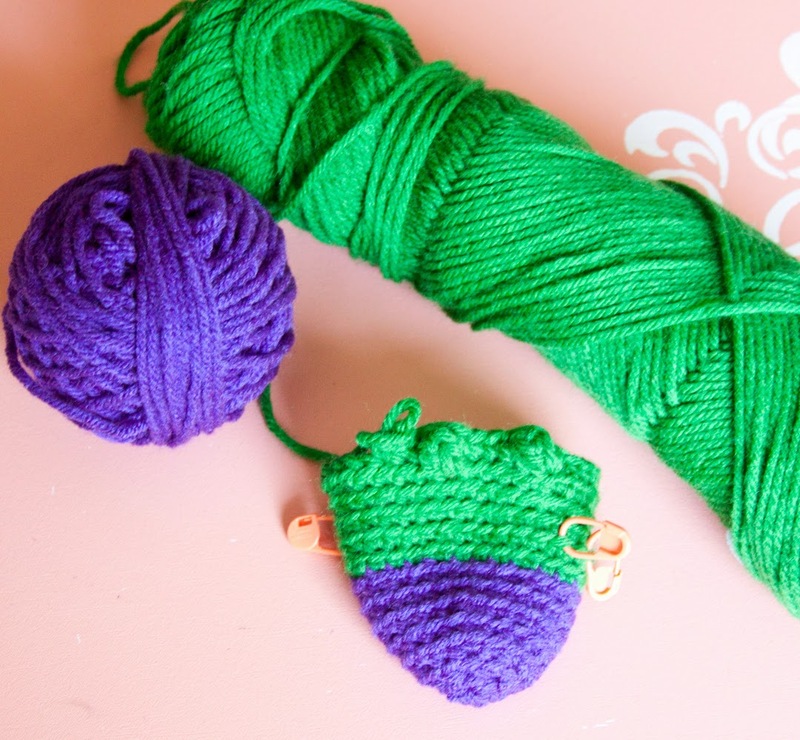 In my defense, they were marked down to $1.00 - $1.50 per skein, which is still the cheapest I have ever seen this yarn, and I have used it here and there for other projects. I just have so much! So even though this cardigan is designed to be made in wool yarn, I wanted to be frugal and put some of my Simply Soft to use. Sin of knitting sins, I know! In the yarn's defense it is a lovely color :) This is the Blue Mist colorway and I bought ELEVEN SKEINS OF IT! What was I smoking?! So, this yarn will become a Marion Cardigan come September. I was so excited about this project that I already swatched to make sure the yarn would work (and it was spot on!). I also devoted some time to customizing the pattern - I've knitted 2 of Andi's patterns before, the Miette and the Myrna, but I've never altered the fit before. I've learned that my waist doesn't nip in as much as her patterns are written for so they tend to be a bit more snug than I like in the tummy area. My others are still perfectly wearable, but now that I know a bit more about fitting my body I wanted to give it more attention on this next make. I spent my lunch break yesterday marking up my pattern and I think I have it worked out so I that will use the size Large pattern until the waist decreases, then switch to the XLarge instructions for the waist, going back to the Large for the sleeves. Hopefully it works out - I'm not a big fan of math, so I've kind of got my fingers crossed, lol. 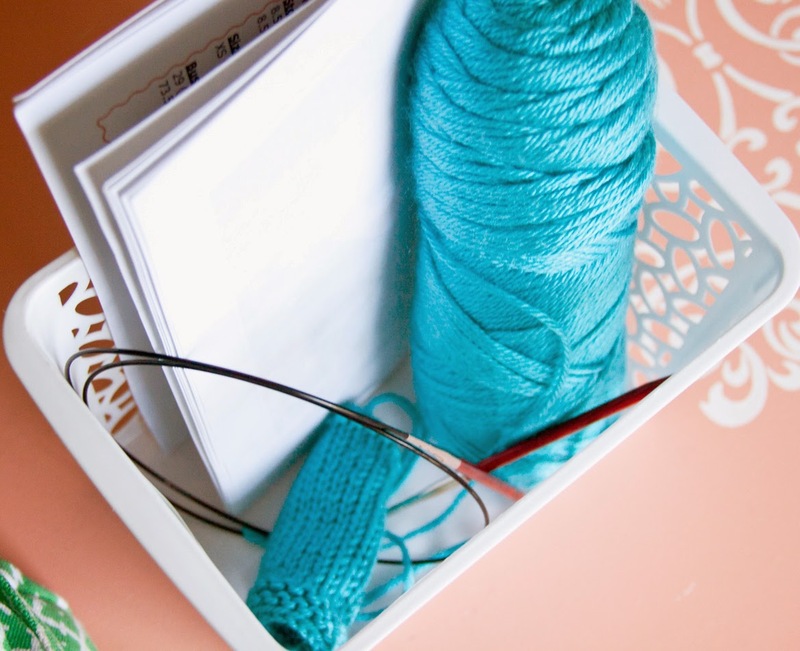 Until the KAL starts on September 10th, I have all my components waiting patiently in one of my WIP baskets. I love these things - they are so handy for keeping everything together but being cuter than just a plastic bag or something. 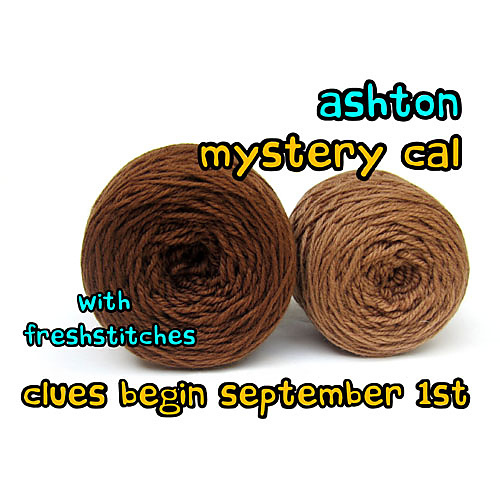 And to top off all these other projects, I am all geared up to participate in the Ashton Mystery Crochet-Along with FreshStitches! I love these mystery group projects, so I always sign up when they come around :) This will be the 3rd one I've done with the FreshStitches crowd and I am really looking forward to it. I've already got my pattern purchased, but I still have to pick out my colors. I like going with crazy colors since you have no idea what you're making anyway - last time I ended up with a mint green kangaroo and joey :) The clues begin on September 1st, so I will update you when I get the first set of pieces made! So, that's what's on my plate this week. Funny how I went from worried I had nothing to work on to having all this lined up now, lol. Feast or famine, I tell ya! 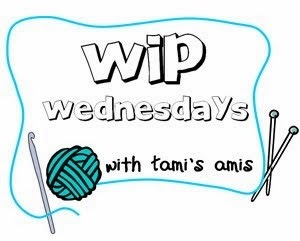 If you'd like to see what others around the web are up to, head over to Tami's Amis' Blog.